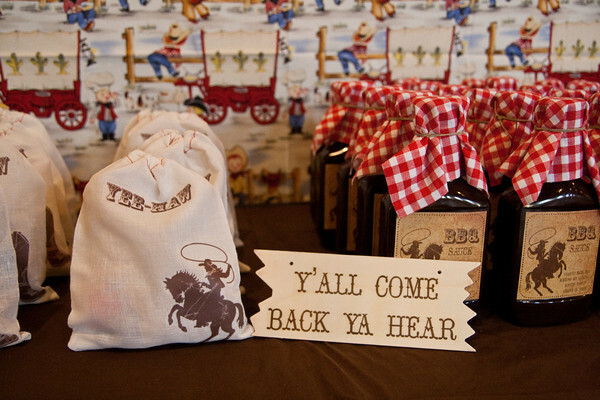 Starting to pull together some ideas for an upcoming 30th birthday party to be held in the country. Loving some of these inspiring images. 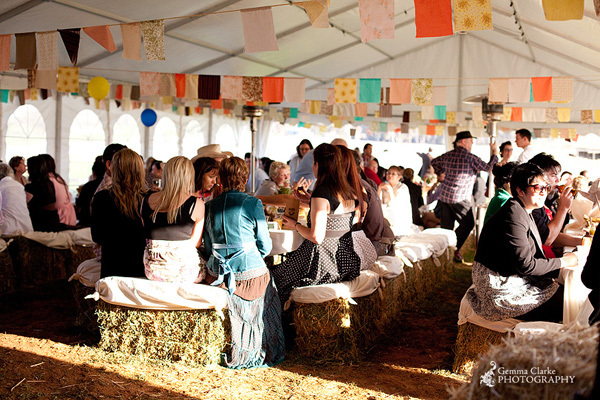 Love the rustic bunting and hay bales as chairs used in this party. 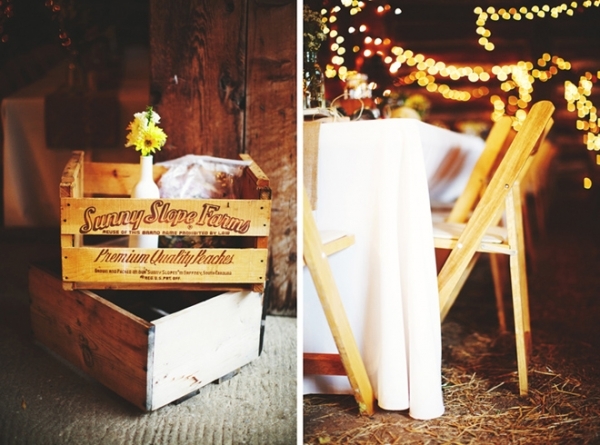 Cute vintage packing boxes can have many uses. 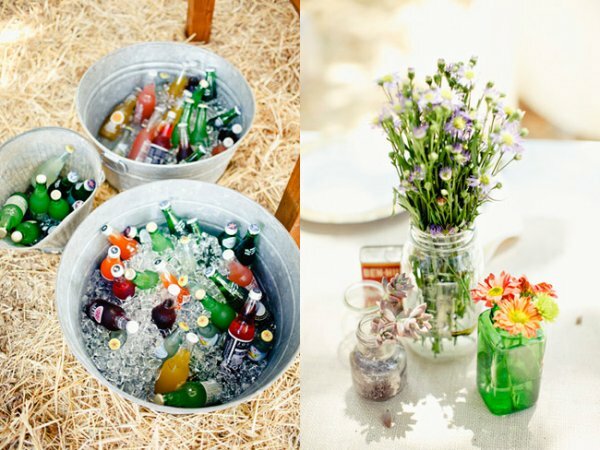 Casual drinks served in tubs and a cute and effective way to have flowers featured on each table. Thinking about using re-cycled tin cans as well tied with twine. 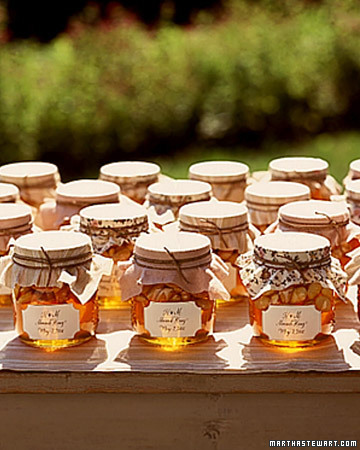 Honey party favours. Straight from my brother-in-law's bee farm. Sweeeeeet! 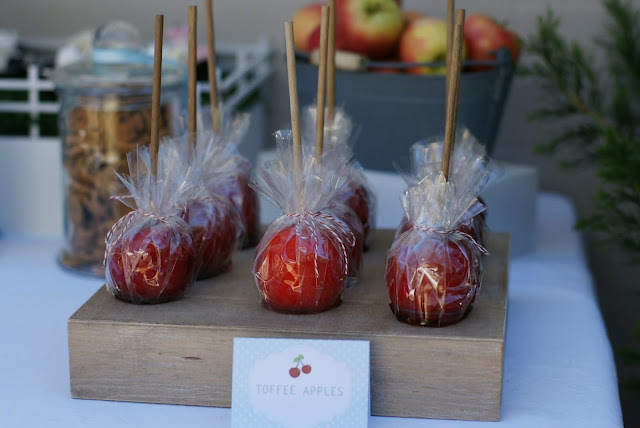 Thinking about using the muslin bags as late night snack bags for when the party-goers get the munchies. 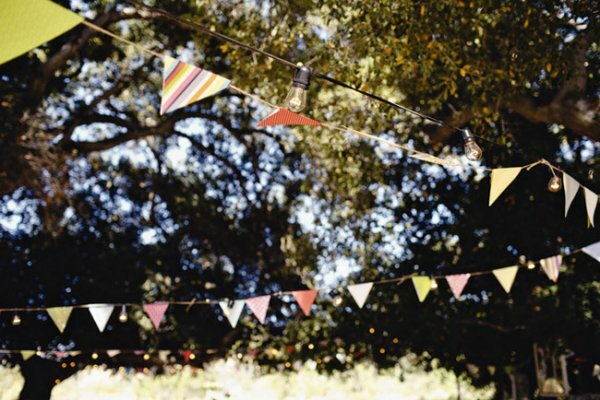 When it comes to a party, you can never have enough bunting in my opinion. 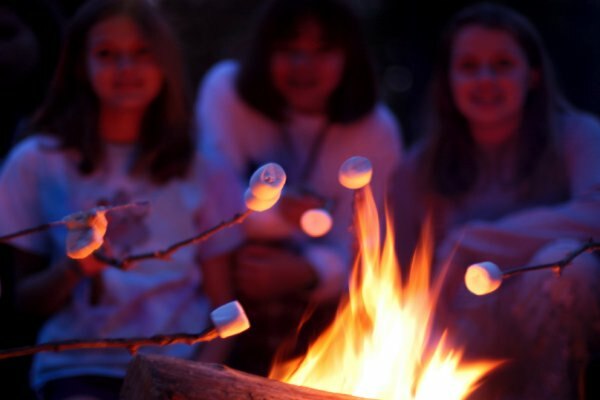 When the sun goes down, time to start toasting marshmallows. 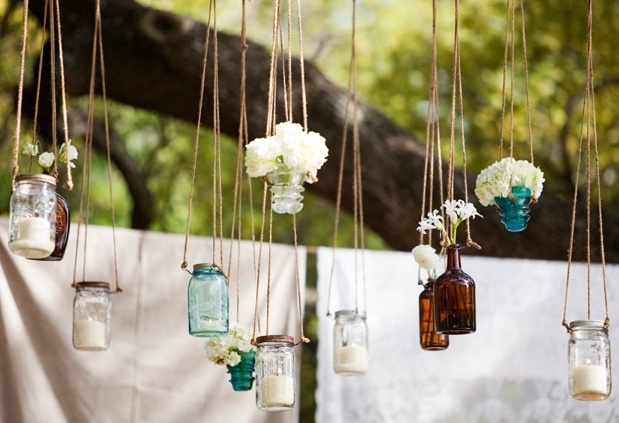 Love the idea of the hanging jars. 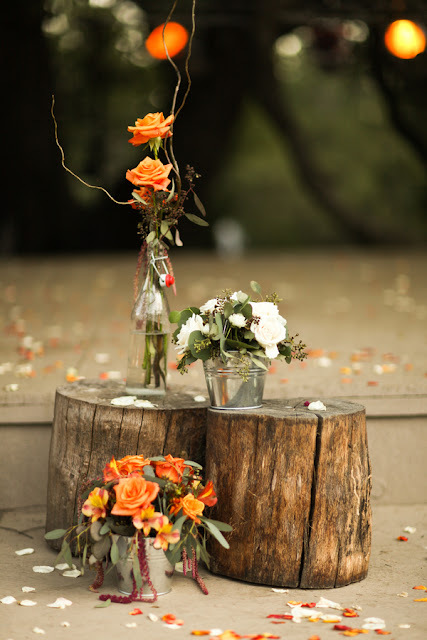 This will look great hanging above the dessert table with bush flowers and tea light candles. Can't wait to see how it will all come together.